Should Your Company Outsource Collections to an Agency? How many of your accounts are past due? How many are seriously past due? If you aren’t sure how to answer, you’re not alone. Despite having sizeable outstanding past-due accounts, many credit professionals in smaller and midsize companies still find themselves leery of working with commercial collection agencies. They may think that turning a customer over to collections will truly end that business relationship. However, failure to escalate debt-collection efforts can have serious effects on a business’s bottom line — and that negative impact only gets worse over time. A professional collection agency will not only help keep your revenue on track, it can actually help you preserve your valued customer relationships. In fact, rather than alienating your customers, you may find that having a collection agency as an intermediary allows your sales and fulfillment teams to maintain more cordial relationships. They don’t have to be the “bad guy,” so they can continue to support your valued customers. You think a do-it-yourself approach will work just as well? Many organizations include collections as part of the accounting role. Why bother paying an outside vendor when you already employ someone to collect your payables? You think of collections as a last-ditch effort? Sometimes credit professionals think of collections as the equivalent of taking legal action; in that case, wouldn’t a lawyer be more effective? You’re afraid the agency may harass and alienate your clients? Collection agencies sometimes have a bad reputation for antagonizing clients, so maybe you’re afraid of ruining future business relationships if you turn to a collection agency. Or maybe it’s just because collecting on those debts isn’t as high a priority as it should be. After all, your focus is on making new sales. Whatever the case, leaving outstanding debts unpaid can be extremely dangerous to your business. The longer debts go uncollected, the lower your chance of ever collecting on them will be. These statistics make it clear that if your team is unable to collect a payment shortly after it’s due, you may never see your money. In most cases, if your team isn’t able to collect, using a commercial collection agency may be the answer. Commercial collection agencies aren’t a last resort, but rather a partner to aid in making the entire payment process smoother for you, your staff, and your customers. By outsourcing collection functions early in the process, your business will realize multiple benefits. Free up your staff to focus on their jobs. When accounting and sales staffs are also acting as debt collectors, they can’t focus on driving revenue for your company. Maintain positive cash flow and reduce costs. 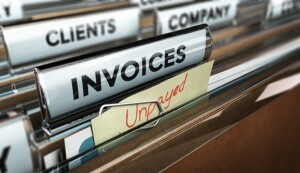 By taking a proactive approach to debt collection, your company will receive payments faster. In addition, professional collection agencies collect their fee only when a debt is paid. This alternative is more cost-effective than paying a salaried staff collection position — regardless of whether debts are collected. Support customer relationships. Certified commercial collection agencies offer high-quality service for you and your customers. They adhere to a strong code of ethics, are engaged in continuing education, and conduct all interactions in the most professional manner. With a partner that engages with your collection process early, you can beat the statistics and actually collect your past-due accounts, instead of writing off lost revenue. Most businesses handle collections in-house up to a point, but collections shouldn’t always be a DIY process. If you’re stuck with too many uncollected debts, let the experts help! We are always available to answer any questions or assist with a credit report for your business. Please call us at 800-457-8244, fax us at 303-806-5360, or send a request through our website. This entry was posted on Tuesday, November 17th, 2015 at 2:57 pm	and is filed under Collections. You can follow any responses to this entry through the RSS 2.0 feed. Both comments and pings are currently closed.